Second generation Ryzen processors has been in the market for some time now with refined gaming experience and multiprocessing performance. The latest processors now use the 12nm process which allows it to boost to higher clock frequencies out of the box compared to the previous generation. Besides that, they also updated a couple of features with this new generation of Ryzen processors. First of all, Precision Boost 2 that is more intelligent in managing your boost in your cores. Another updated feature is the Extended Frequency Range 2 (XFR2), that operates now across any number of cores and threads just like Precision Boost 2. 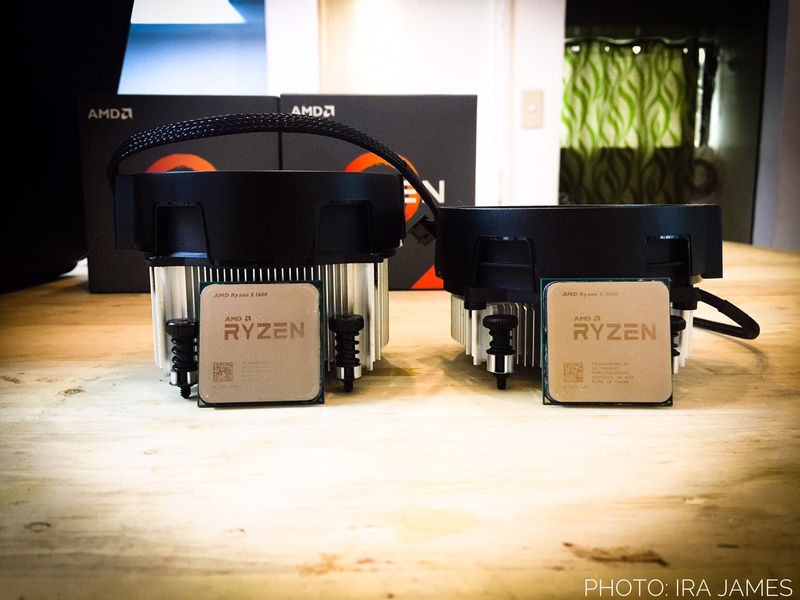 The Ryzen 2600 and 2600x are not that different. They still have a 6-core/12-thread chip with full 16mb of shared L3 cache available on the 12nm “Pinnacle Ridge” silicon. You still have an unlocked multiplier to be able to overclock to maximize its potential power. 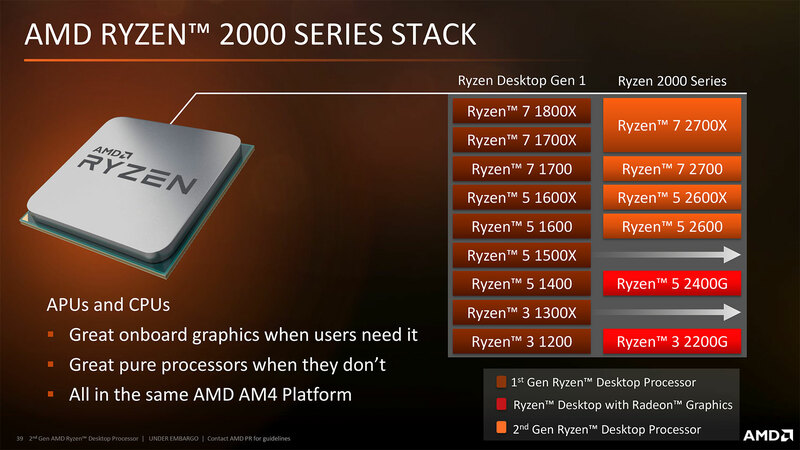 But the Ryzen 2600 base clocks is 3.40Ghz and it can boost to 3.90Ghz and its TDP is 65w compares to the Ryzen 5 2600x that has a base clock of 3.6Ghz and it can boost to 4.2Ghz with a TDP of 95w. The Ryzen 5 2600 is included with a Wraith Stealth cooler. It is a downgrade from the previous generation the Ryzen 5 1600 that uses the Wraith Spire. 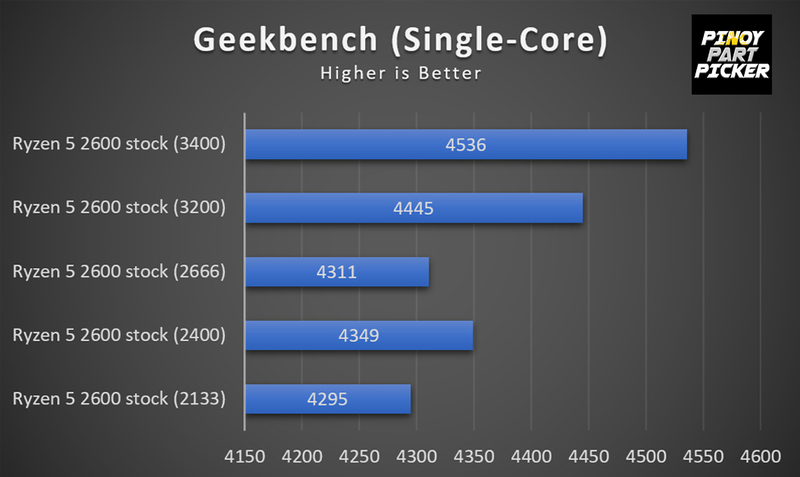 But the Ryzen 5 2600 uses now a TDP of 65w compared to the previous Ryzen 5 1600 that uses 95w. The Ryzen 5 2600 is being launched at $199. It is $30 cheaper than the Ryzen 5 2600x. Now as you can see on our CPU tests, we wanted to see how different memory frequencies can affect the performance of the Ryzen 5 2600. We decided to tested out 2133Mhz, 2400Mhz, 2600Mhz, 3200Mhz and 3400Mhz. 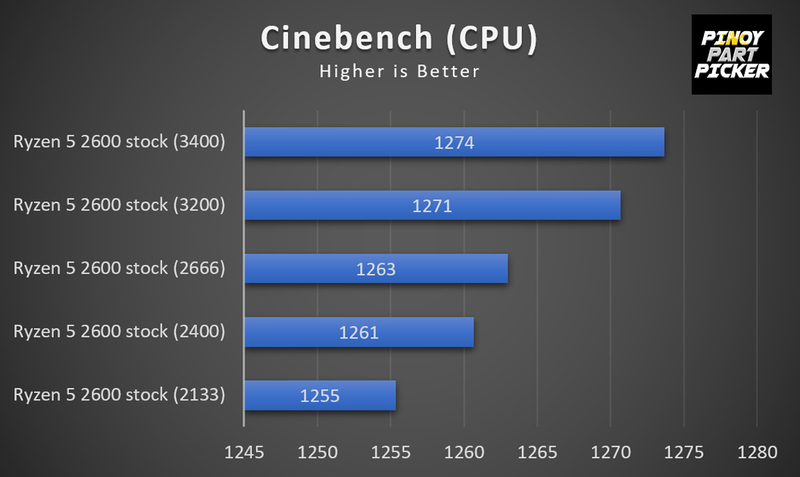 We use the Cinebench R15 a well-known CPU and GPU benchmark. 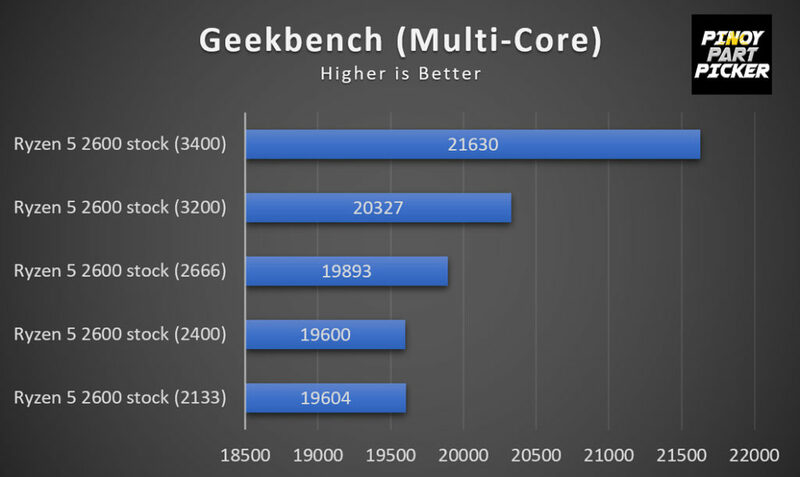 We use Geekbench to able to see its single core performance and multi-core performance of our processor. 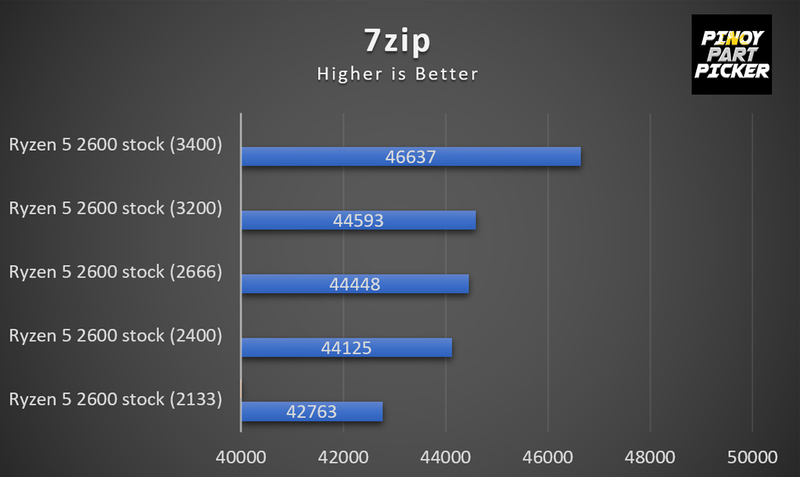 7zip is a compression software application. We’ll be using the command line method of the test and will be going for a 4 phase and 32mb dictionary size. We will be looking at the total rating. Blender is a professional 3D computer graphics software. 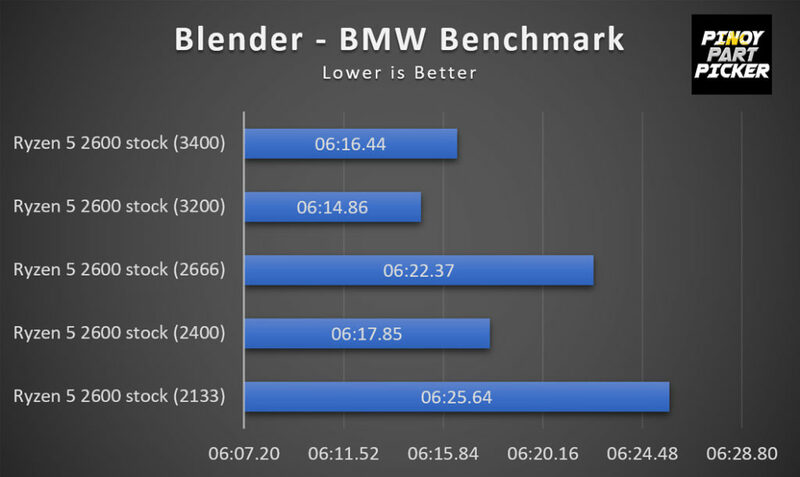 We use the BMW benchmark to test the render capabilities of our processor. As you can see on the CPU benchmarks, memory frequency has a great effect on the CPU performance as seen on the series of tests. The reason why we benefited with so much in opting out with a high-frequency ram is that Ryzen uses infinity fabric. 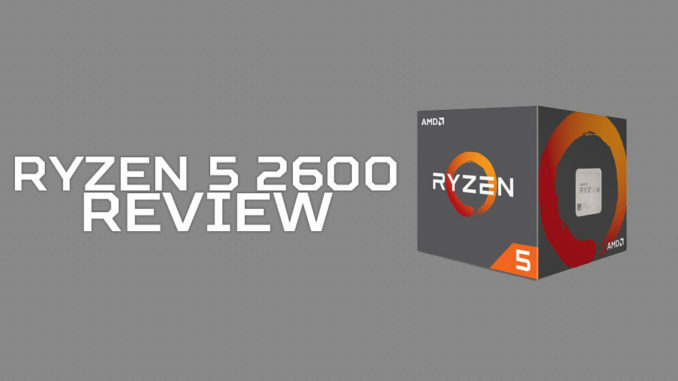 Our impression of the Ryzen 5 2600 is good. But I think if you are using the predecessor of the Ryzen 5 2600 the Ryzen 5 1600 it is better to skip this first and wait for the next generation that will be coming out this 2019. We also suggest that when you will be going for a Ryzen 5 2600 processor getting a higher frequency of ram is a must to be able to maximize the infinity fabrics that Ryzen processors use. And if you will be planning to overclock this processor we highly suggest on getting the Ryzen 5 2600x due to it has a higher TDP and it has a higher boost clock out of the box that means that you will be having an easy experience in getting higher clock speeds.